Lagoon is the only environmentally friendly alternative to traditional dry cleaning, meaning any item can be cleaned via the Lagoon wet cleaning method. No solvents are used and all our products are biodegradable for chemical-free drainage. We clean your garment whilst keeping the environment safe. However if you would prefer to use the traditional dry cleaning method we at Stitch N Fix are specialists in top quality dry cleaning and have tried to limit the amount of harmful and dangerous chemicals we use in our cleaning process. 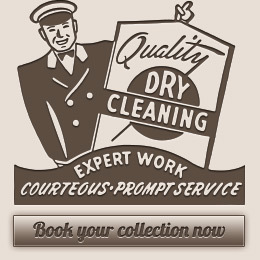 We adhere to rigid requirements and maintain the purity of our dry cleaning products. We never compromise our service quality. Every item is carefully inspected, treated for stains dry cleaned, pressed, hand finished and bagged. We offer a dry cleaning service where we follow the garments manufacturers washing instructions to detail as well as using the latest equipment and processing techniques to ensure that all items receive our best attention. You can instantly feel the difference after your garments go through our innovative cleaning process. Whatever the cleaning requirement we have the experienced personnel and up-to-the-minute technology to exceed your expectations.